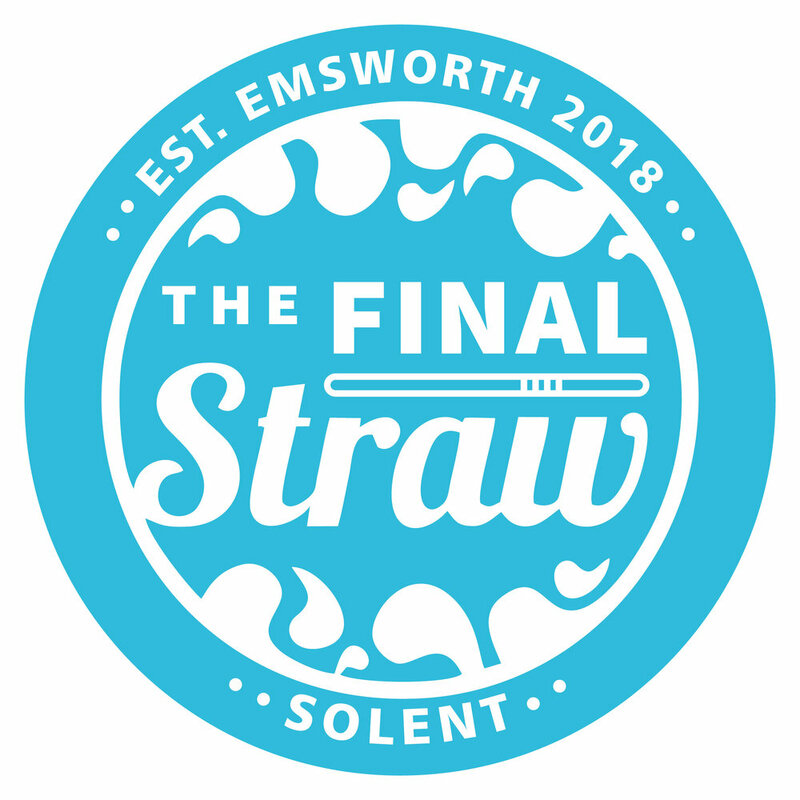 Final Straw Solent is an exciting new movement in Hampshire encouraging local businesses to stop offering out single-use plastic straws to customers. It’s headed by Bianca Carr from Emsworth, who arranges beach cleans under the Final Straw umbrella. The first official beach clean took place on the Hayling Billy Trail between Havant and Hayling Island on Sunday 18th February 2018. After some impactful promotion on social media, 30 attendees were booked on for the two-hour event. But by the time the clean began, more than 75 volunteers had assembled to give their time and effort to bettering the area. Equipped with gloves, litter pickers, and purple council bin sacks, the volunteers cleaned up enough trash to fill 35 bags. Crisp packets, drinks bottles, hundreds of sweet wrappers, hundreds of plastic cotton bud sticks, and the main bulk of the clean: micro-plastics. Many Final Straw volunteers got down on their hands and knees to sift through the seaweed and sand, but you don’t have to dig that deep — usually, you can cast an eye across the beach and spot all the little flecks of blues, greens, and pinks interrupting the natural landscape. Thousands of nurdles were picked up. These are tiny round pellets which make up our plastic products. They’re notorious for polluting our seas and filling the stomachs of shoreline and ocean life. Nurdles are a core focus for campaigners fighting against single-use plastics. Bianca was inspired to start Final Straw through a desire to teach her two sons the importance of loving and caring for our planet — an attitude sparked in part by the sustainability work carried out by Land Rover BAR and the 1851 Trust, where her husband is a member of the sailing team and a trust ambassador. She said: “We only have one planet. I am horrified and heartbroken every time I walk past a piece of litter that I know will inevitably end up in our oceans, and maybe inside the stomach of a vulnerable animal. “We’ve all seen the videos of animals wrapped up in plastic beer can rings and the turtle with the plastic straw stuck up his nose. We need to get together to end this. Just yesterday I was offered a plastic straw for my son’s drink. This really annoyed me, and is now the straw that’s broken the proverbial camel’s back. Bianca’s campaign began as Final Straw Emsworth, imploring her village to quit using plastic straws and encouraging businesses to offer paper or metal straws instead. Her efforts quickly gained traction via social media, propelling Final Straw to a Solent-wide stature. In the near future, the Solent branch of the campaign could easily join forces with the likes of Final Straw Winchester and other locales. If things continue as they are, by 2050, it’s predicted that there’ll be more plastic in the sea than fish. The equivalent of a rubbish truck of plastic is dumped into the ocean each day. Preventing that starts with us, with individual changes and actions. Bianca continues to document the campaign’s progress via Twitter, Facebook, and Instagram, regularly highlighting local businesses who have kicked plastic straws to the curb.